The wooden stunts that dot the trails of Vancouver’s North Shore are most frequently built from western redcedar (Thuja plicata). 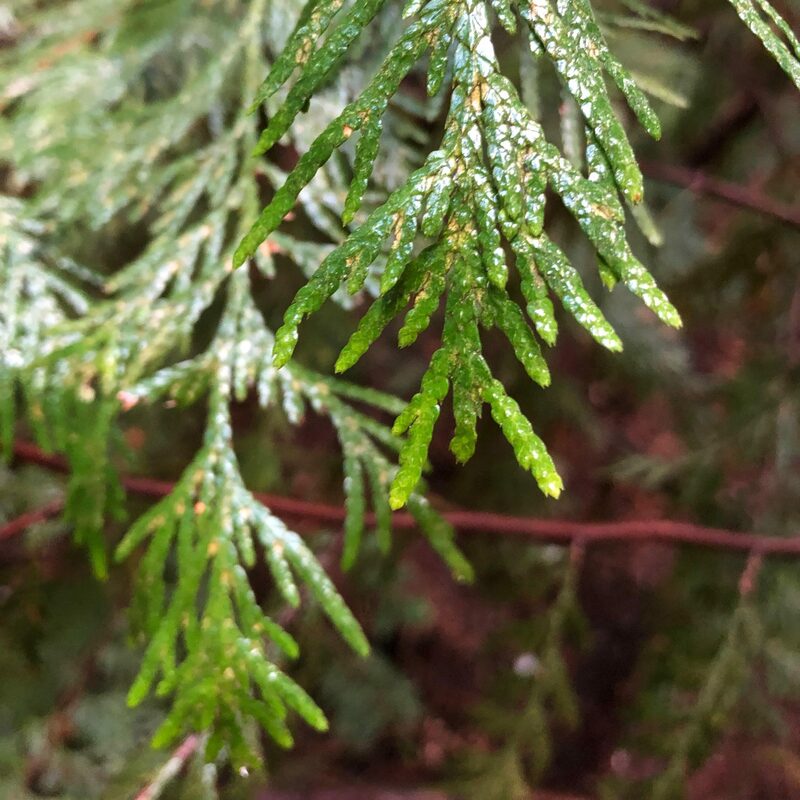 An evergreen coniferous tree, and the official tree of British Columbia, redcedar can live for over a 1000 years. 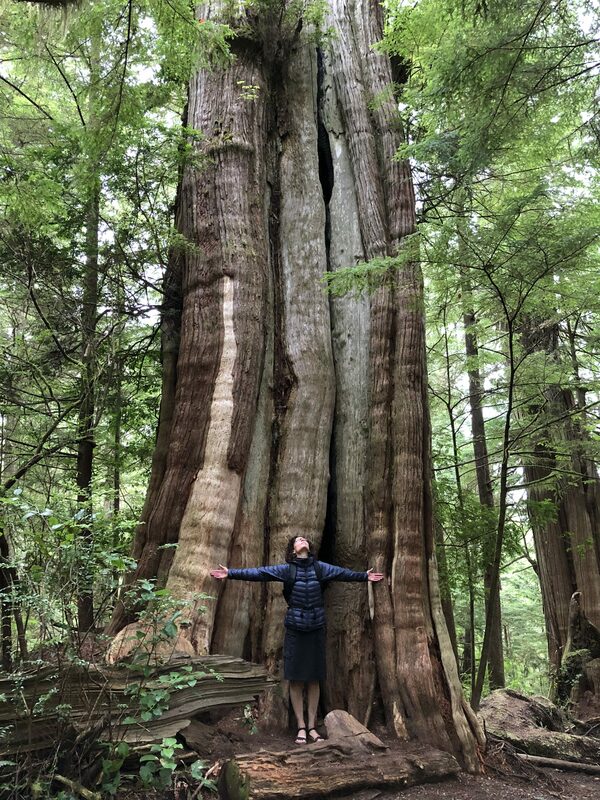 The oldest redcedar in Canada is estimated to be 2500 years old and is still growing. (1) Trees can grow upwards of 60 m tall with trunk diameters 4 m wide or more. It grows abundantly in the Pacific Northwest, but it’s not just its availability that contributes to its popularity with local trail builders. Western redcedar has a unique property that makes it ideal for building the wood features that made the North Shore famous. The heartwood of mature trees produces natural fungicides, including the chemical thujaplicin. (2) These chemicals protect the wood from fungus and rot and make it the perfect choice for surviving in the local wet climate. Even a century after falling, the wood of old growth cedars often remains preserved and suitable for use. 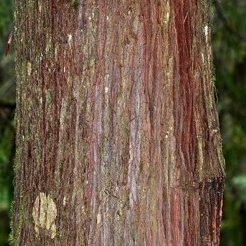 (3) Neither western hemlock nor Douglas fir, frequent companions of western redcedar, share this rot resistance. The mechanical properties of redcedar also make it a highly desirable material for trail features. Light weight but strong, it is also comparatively flexible; tending to bend rather than snap. (4) And who doesn’t love its aromatic scent! Every part of the cedar has value. Roots are woven into baskets. Bark is also used for weaving or may be shredded and processed to make fabric for clothing. (7) Withes, long slender flexible branches, are twisted into strong ropes. The trunk provides planks for the construction of homes and other buildings. (8) Bentwood boxes are formed by steaming a single plank of cedar and bending it into the shape of a box, with the ends of the plank pegged together to secure it. Made in a variety of sizes, then carved and painted, the boxes are used to store food, clothing, drums, and more. (9) Whole logs are carved into canoes. (10) Tools are fashioned from the lumber. Cedar is also burned for cooking and smoking food. Cedar poles are intricately carved with the likenesses of animals and humans. The carvings may document a family’s history, commemorate an event, or serve as a welcome to visitors. Some First Nations incorporated the carved poles as doorways to a home or as structural supports in a building while others erected the carvings as stand alone poles. (11) Boughs are used for cleansing and smudging rituals. The next time you’re out on the trail, find a cedar, and take a moment to thank it for all that it gives to us. Cross-posted from www.petrichortrails.ca with permission.